Healthcare hiring slowed significantly in August compared to the white-hot average gain of 37,950 jobs added to the industry during the previous two months. The industry produced 20,200 jobs in August, less than half of July's 40,900 new healthcare jobs added, according to the most recent jobs report released Friday by the Bureau of Labor Statistics. The slowdown in healthcare hiring is reflective of the rest of the economy, which produced 156,000 jobs in August, disappointing analysts who expected about 180,000 jobs would be added. The unemployment rate also rose slightly from 4.3% in July to 4.4% in August. 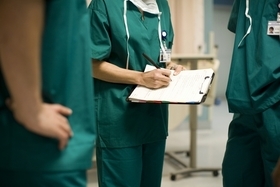 Hiring in ambulatory care centers significantly decelerated to just 11,000 new hires. In July, 30,400 jobs were added at ambulatory care centers, leading the bulk of the job growth during that month. New jobs at hospitals also dropped slightly. In August, hospitals added 6,400 jobs, less than the 7,400 jobs added in July. This may be influenced by the fact that admissions at hospitals have flattened in recent months. Before the strong hiring numbers in June and July, hiring in 2017 averaged at about 24,000 jobs per month. Healthcare analysts concluded legislation to repeal the Affordable Care Act might have played a role. The total healthcare workforce is 15.8 million. Hiring in the economy has historically slowed in August. The entire U.S. economy added 151,000 jobs in August 2016, less than the 275,000 jobs added in July 2016. The healthcare sector added 14,400 jobs in August 2016, much less than the average gain of 32,000 jobs for that year.